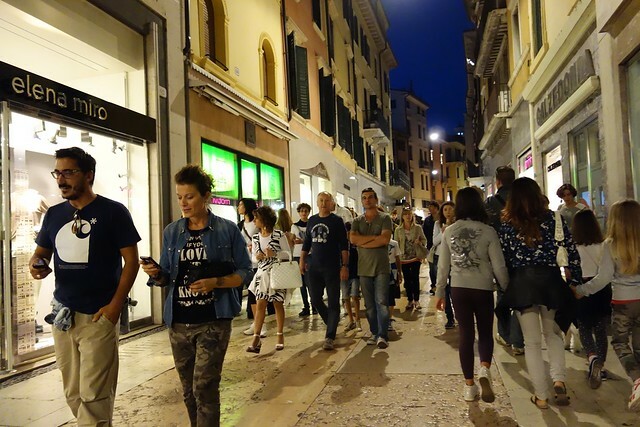 Why Verona is a Perfect Place for Shoppers? Verona is a beautiful city that ideally combines an amazing medieval art and modern pace of life. Almost all Verona’s tourists set off to this lovely city to visit its numerous museums and other spots associated with the famous Shakespeare’s tragedy of Romeo and Juliet. And did you know that Verona also offers great ideas for shopping? And can you imagine that shopping in Verona can be very enjoyable? Of course, it’s hard to name the city the Italian shopping mecca, but despite that, you can purchase lots of fashionable clothing there 2 times cheaper than in Milan. On the shelves of Verona’s boutiques you’ll find both exclusive designer’s models and mainstream brands. So, if one day you decide to enjoy shopping in Verona, we’re glad to provide you with all the necessary information. What can you buy in Verona? 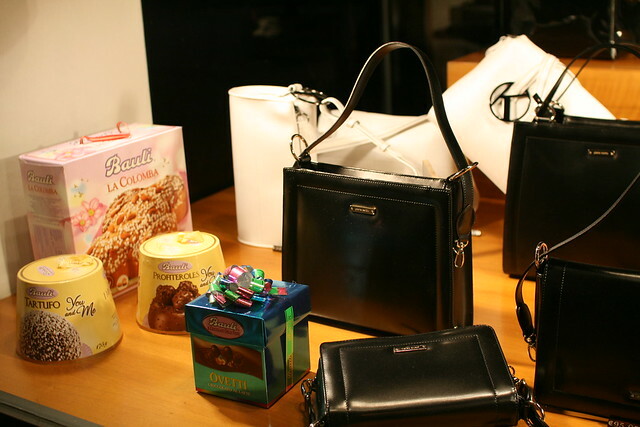 Among the most popular Verona’s purchases are leather shoes, accessories, handbags, cosmetics, perfumes, antiques, souvenirs and jewelry. In Verona you can find high-quality sportswear produced at the local factory: ski suits, sports suits, leather boots and sneakers are available in any city’s shopping spot. Of course, there is also a large selection of stylish clothing both of world’s famous and local brands offering exclusive models at very affordable rates. Where to shop in Verona? Stretching from the Arena di Verona square to Via Cappello, this picturesque street is full of numerous shops and boutiques. Via Mazzini is the most visited Verona’s destination. Therefore, it will be better to check it out in the morning to avoid huge crowds of tourists. This is an ideal spot for those who’re looking for designer’s clothing of the latest collections and has the appropriate budget. Via Mazzini offers both Italian and European luxurious brands: Benetton, Mont Blanc, Louis Vuitton, Prada, Duca D’Aosta, Swarowski, Ferrè, Elena Mirò, Bulgari, Gucci, MaxMara and much more. 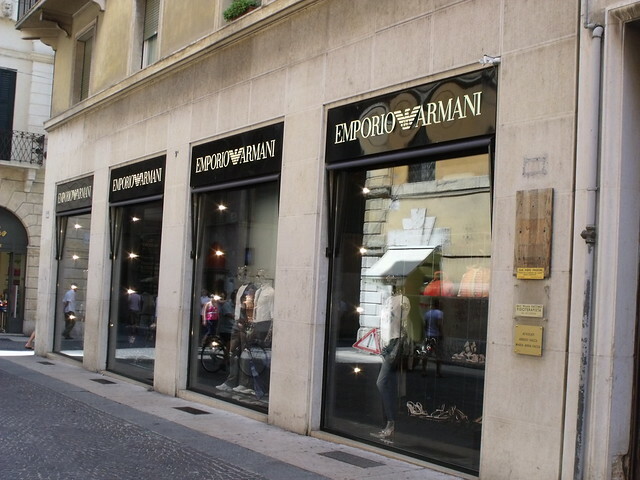 In comparison with the similar brand shops located in Milan, the prices in Verona are lower. If necessary, such money saving brands as Bershka, Tiffany&Co and Diesel are also presented there. If you are not chasing for the famous brands, but nevertheless, you demand a high quality, Via Pelliccial shopping street is very suitable for such purposes. Huge selection of shoes, clothes and accessories of little-known Italian designers are at your disposal there. Via Pelliccial is a home for Italian young trademarks: NDC, made by hand, Surface To Air and Moscot. But there are also several experienced brands like Raf Simons, Givenchy and Henrik Vibskov. If you like originality, visit the Wooden Store, where you’ll find the masterpieces of local designers. They create unique and exclusive models, so you can choose something really interesting there. La Grande Mela shopping land will help all your dreams come true. Three floors of the building are occupied by the cinema, billiard halls, playgrounds, bars, restaurants and of course, a plenty of shops. This is a place where you can shop and at the same time to relax while making purchases. The mall offers more than 120 boutiques for any taste, so you can easily find everything you need. The prices in La Grande Mela are reasonable and in addition, discounts of 15-35% are available sometimes there. Le Corti Venete is located just in 10 minutes’ drive from Verona and offers 32 000 square meters of entertainments, fashion and a real pleasure. There’s everything you’re looking for: free playgrounds for children, cozy cafes, lots of useful services and an enormous selection of boutiques. On the territory of the most modern commercial center of Verona you’ll find more than 70 stores: Sportler, Euronics, Bata, Zadar, Geox, Stradivarius etc. 300 free parking seats are also available right near the Le Corti Venete Mall. Franciacorta Outlet Village is like the city of fashion. It includes about 160 branded shops where you can find not only clothes, shoes and accessories but also perfumes, cosmetics, jewelry, toys and a variety of household goods. Unfortunately, there’s nothing to do there for the fans of luxury brands such as Prada, Versace and Dolce & Gabbana, since Franciacorta mainly specializes in selling high-quality mid-priced clothes (Guess, Baldinini, Stefanel, Pinko, Calvin Klein, Fornarina, Sisley, Glenfiend, Motivi, etc.). You’ll be able to purchase clothing of these designers at a discount of 30-50%, and sometimes even of 70%. The largest shops of the Outlet Village offer the sportswear brands like Nike, Puma, Asics and Kappa. In addition, the market’s infrastructure includes parking, bank, restaurant complex (McDonalds, Autogrill, pizzeria Il Cascinale), several bars and a large entertainment area for children. Well, we’ve provided you with all the useful information and if you want to make sure that Verona is an excellent shopper’s spot, just visit this lovely city, book a rental car and enjoy all these shopping places at once. Author Bio: Lily Berns likes to write and take photos of interesting places. During her free time, she travels in different cities with her friends.